Posted in FAQs, Teaching kids	| Enter your password to view comments. Level 6 at Coronet Peak is the All Mountain & All Terrain challenge. Our students are learning to make dynamic carving turns on most groomed trails. This means they are moving with and across their skis constantly and consistenetly resulting in two clean lines in the snow all the way through the turn. They ski in control off piste with upper body discipline always facing down the hill. They ccan ski the fall line in the bumps with a minimum of upper body rotation. They can jump off most things safely, checking their approach take off and landing before launching themselves. They can adapt to all the different types of terrain and conditions the mountain has to offer including challenging blacks at anytime. They are our model students and always apply themselves 100%. When you come to a ski lesson, there is always a goal that you want to achieve, otherwise why would you come to a lesson? Whether it’s to ride up a chairlift and successfully ski down a piste, meet like-minded & similar ability skiers, or to ski down a black diamond run in control and with form. Or, in the case of children they usually want to ‘have fun’. There is always a ‘goal’. A goal is ‘the aim, intention, objective or purpose of a person or group of people.’ For a lesson to be great, it needs a goal ‘to make the direction of the lesson clear.’ What we’re doing in the lesson also needs to be related back to the goal or the lesson becomes disjointed and confusing. What the student wants from the lesson helps to determine the goal. This could be to improve technique, ski a more difficult run, meet new people and make friends, have fun, or maybe build confidence. And sometimes a students motivation for being in a lesson plays a role, too. As instructors, we see what you need to achieve your goal (your wants) by watching you ski, then negotiate what could be a realistic goal for the time available. Goals may need to be reassessed from time to time in order to achieve them, breaking them down in to smaller and shorter goals. This lets us know we’re on track and gives a sense of achievement before moving on to the next one. Too much, too big, too soon are less likely to be achieved. Big goals are achieved through incremental small goals. Every thousand mile journey begins with a single step. Specific: A clearly defined, concise statement of what the objective is will give the lesson a focus. Measurable: There needs to be a bench mark, or control, against which to measure progress and stay motivated. Achievable: Even though great effort may be required, there is still the ability for the goal to be reached successfully. Realistic: There should be appropriate expectations of the objective to maintain motivation. Timely: Achieved within a specified time frame. This could be within a one hour lesson, a couple of days, weeks or several seasons. Which ever way you break it down, as long as there is a sense of achievement, progress and fun, then the lesson has been a success! It’s been a busy start to the season. 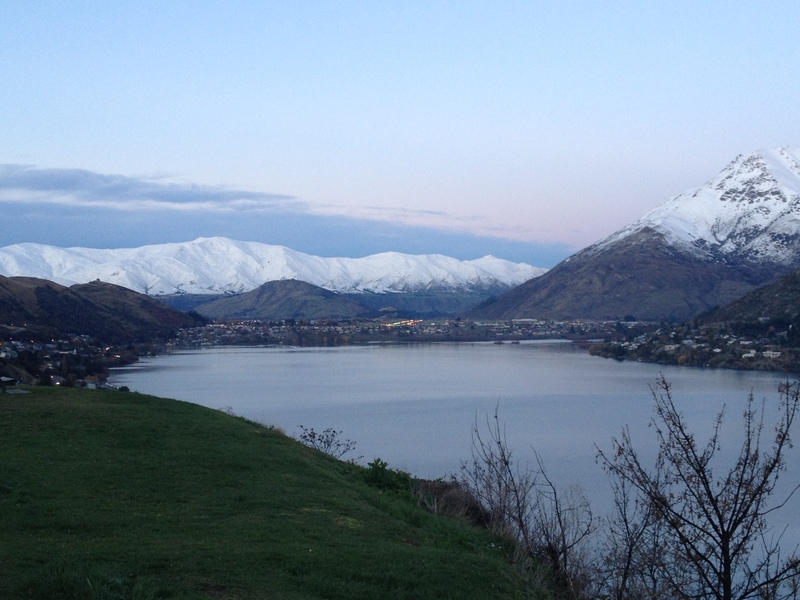 Even though we got in to Queenstown a whole month ago now it seems like it was only last week! 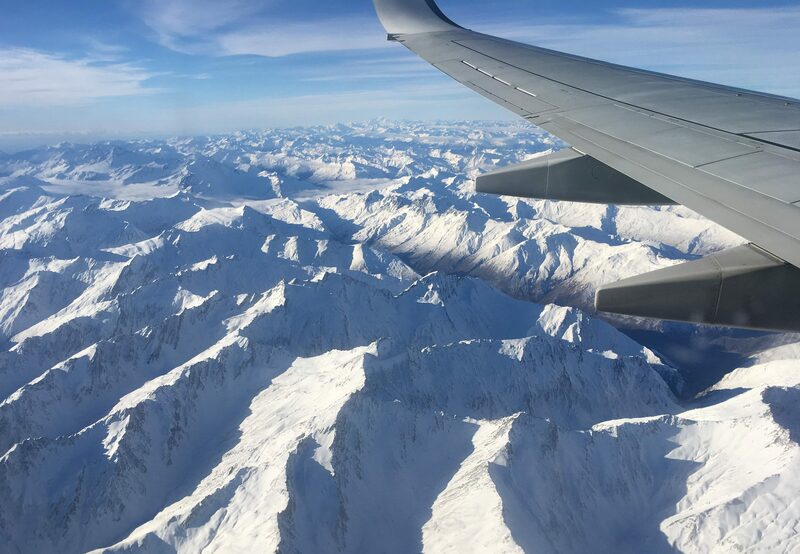 There was significantly more snow on the mountains and resorts on the flight in which was quite a relief. In previous years there hasn’t been any snow to speak of. 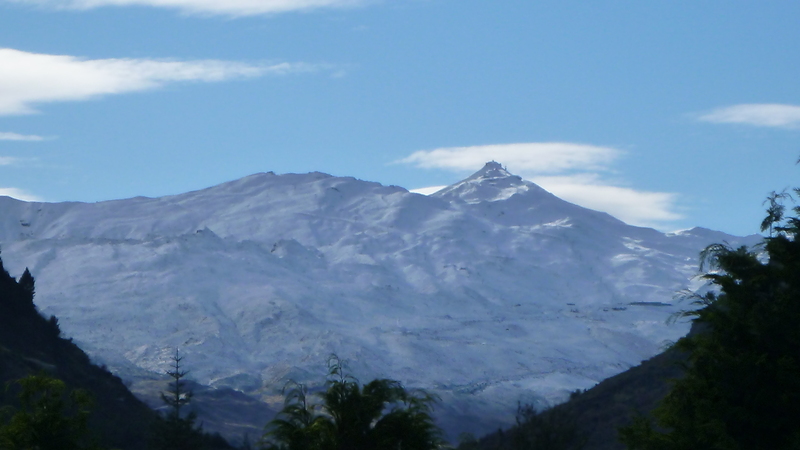 Early season snow falls in May, temperatures remaining cold and more early season snow has kept the buzz in town that this will be a great season for snow. This season seems to be defying the locals adage, ‘Snow in May never stays, Snow in June still too soon.’ We’ve even had snow to the valley floor before Opening Day! I’ve been busy training the local high schoolers and new hire interns the ways of teaching at Coronet and how to be effective assistants and instructors. I am also getting my schedule organised for the school holidays and the season. Some Australian school holidays have already started, or starting on Monday, with the New Zealand school holidays starting next week. For the New Zealand school holidays I will be working on the Ski Clubs Ski Weeks, then after the school holidays I’ll be working on the Wakatipu Ski Clubs 6 Sunday’s Programme. 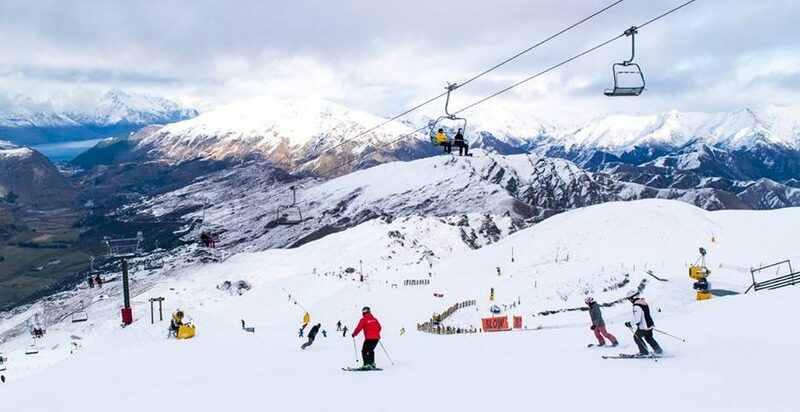 Both of these programmes are rewarding, as the participants are either locals of Queenstown, or the greater region on the South Island, and are fun to ski with. Night Ski officially started on Friday night with the Launch Party tonight with Aroha & MC Tali and Hedlok. First Tracks opens on the 2nd July just in time for the holidays. In August, I have my Trainers Cert. Exam, which is a tough nut to crack. This will be the third season I’ll be attempting the exam, this time for sure! The ultimate goals I have is to pass the NZSIA Trainers Cert exam and the ski element of the NZSIA Telemark Level 3. These are the best part of a year away. How do I break these overarching end goals in to smaller, more manageable parts that are relevant for both, Summer here and now, and Winter in the future? For both disciplines, maintaining technically accurate mechanics at speed and in variable terrain requires exceptional lower body strength, core stability, and plyometric control. They also require cardiovascular stamina and aerobic fitness at altitude. 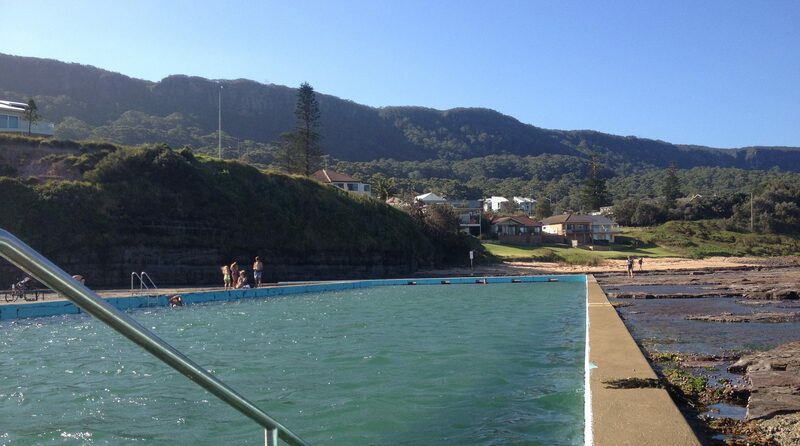 There are various outdoor pursuits which can help with Winter that can be done in the Northern Illawarra area. 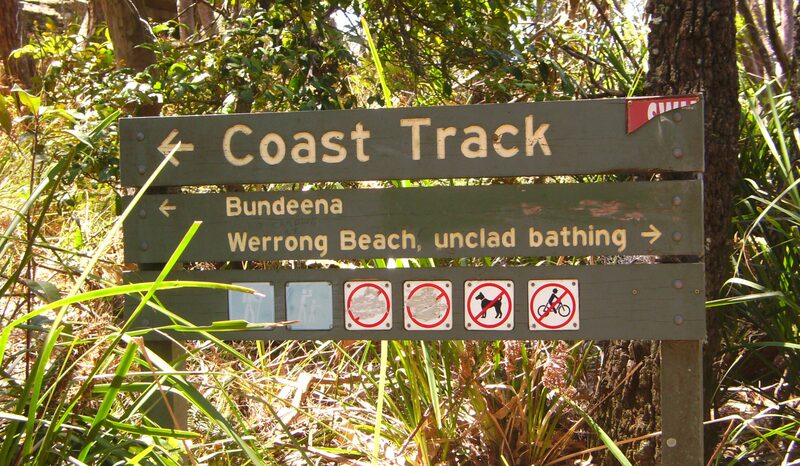 Trail and beach running, swimming in the ocean pools, cycling on the bike paths and strength training at the local gym. Trail Running in the area has a few facets. First, there is a local, non-competitive, timed 5 km run every Saturday morning. This run is relatively flat along the bike path next to the ocean and will serve to gauge my progress generally. Then there is Beach running, while flat will add some variety with an increased ‘collision time’ (time during which the foot sinks in to the sand, mimicing snow) and will give a thorough work out of the legs. There are also various trails up and along the Illawarra Escarpment for terrain diversity. I aim to run a Half-Marathon in May 2018 in 1 hr 15 mins. 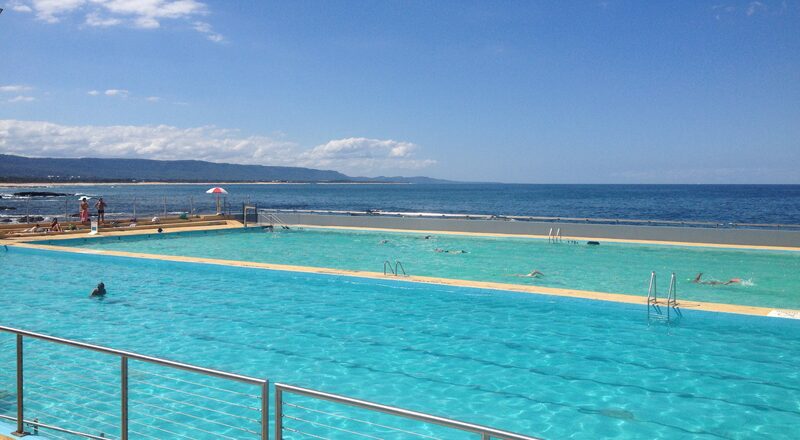 Along the coast there are 8 Ocean Rock Pools and 2 Olympic swimming pools using ocean water. My swimming has never been the best, however, there are a couple of goals I would like to achieve here. First, is to swim 10 laps in the Olympic pools, in 10 minutes. For me, this is quite ambitious, but not unachievable. The second, is to swim 10 laps in all 10 pools. I have attempted this before and got as far as 2 pools and that is as far as it has got. I have timed the ride between home and work as a sprint and cycled the bike paths with the family. As far as cycling goes this will be used as a form of cross-training and I will time the commute 3 times a week. Strength conditioning and core stability are best trained in the gym, while plyometrics will be trained at the local sports fields. Even though skiing is very leg-centric, it is important to train the whole body. My upper body is particularly weak and this needs to be rectified. I can barely do 1 chin-up so to aim for 10 by May, as a start, is realistic. As for other base line, starting points, I need an initial assessment before setting further targets. So there it is, a Summer of training and setting some ambitious yet achievable goals to get involved with over summer and autumn. I prefer to train outside and in a variety of sports. The area we spend summer is lends itself to training and it would be prudent of me to take the opportunity while we are here. As well as spending time with those I need to spend time with! Level Yo-Yo: How it’s prevented. You’ve come for another ski holiday and been conservative in deciding which Level to put your child in to. They get their legs back and move up in to the level they completed last year. The next day, though they get moved back down, then moved back up. Then another day, another instructor, they moved back down. I have often referred to this phenomena as ‘Level yo-yo’. Children get moved up then down, then up then down. Needless to say this a very frustrating scenario for everyone involved, you, the parents, us, the instructors and most importantly, the kids. So, why can’t we, the instructors, get it right for your child to have fun and learn in the level they’re supposed to be in? There are several reasons why students oscillate between levels, and how to prevent it. At the start of either the season or holiday, make sure you are conservative when determining their level. Even though they may have finished last year at Level X, depending on how much they have grown and how active they are, they will have some muscle that hasn’t skied yet. It is better to be placed in a lower group to ‘get their legs back’ than to start in the level they finished at and be on terrain or at speeds that would encourage bad habits and move them back to a lower group. This almost always negatively affects confidence, morale and motivation. If they have grown, it is also likely that they have new equipment (even if its new for them, second hand) and could take some getting used to. New, stiffer boots, longer and/or stiffer ski’s can all affect their skiing at the start. When buying new boots avoid getting them too big on the assumption they will grow into them. This can be quite dangerous, as an ill fitting boot can have more leverage with which to break a leg. As long as they are the right size, rentals or second hand are fine. Orthopedic foot beds are also a good idea if they have unique and specific feet. When dropping them off at lessons, be as accurate as you can with their ability. There is a big difference between having a physical ability to get down vs. accurate technical skill. For example, does your child ‘Death wedge’ down steep runs or do they turn their skis while in balance? What we as instructors look for to determine their level is efficient speed control through turning. Making sure they are turning with their legs rather than their shoulders and whole body. Ask yourself, What turns first, the ski’s and legs or shoulders and hips? If in doubt, check the resorts website for a level chart or videos to help you determine which level they should start at. Their emotional state or well-being also affects learning and the retention of information quite significantly. At the start of the holiday there may a lot of excitement to get back out on to the slopes and a lot of energy expended as a result. Everyone was up early to make sure they had a substantial breakfast, cooperation between siblings to help get out on time with all their ski gear. Which results in an excellent first day back on snow and the lesson was great! There is a mild celebration and everyone has a late night. Which results in everyone being tired and sluggish the next day, waking up late, not having enough breakfast, siblings squabbling, rushing out the door, forgetting some innocuous (or important) piece of equipment, getting to the lesson after begging to be let in and missing the first part. Most of what was learnt the day before is forgotten, giving the instructor of that day the arduous task of saying, ‘Maybe you’ll have more fun in the lower group.’ Yes, I have been that instructor. And, No, it is not fun. While your child may be able to do something with one instructor, then can’t quite do it on their own. One teacher will see it, move them up, then it’s lost with other instructors. A student not only needs autonomy of skills to stay in the level, but to maintain the effort that they have put in previously to get to the next level. This could have been the result of the relationship between student, instructor and the other students in the group. Encouragement between students often affects performance. Another common assertion is that the child has been down a Blue run from top to bottom with the significant detail that the child was skiing between the parents legs omitted. This has the potential of being highly dangerous at worst and a waste of the rest of the classes time (and the other parents money) at best. I have had some parents ask me, ‘The last instructor promised they’d be moving up today. Why haven’t they?’ Good question. What the last instructor should have said was, ‘Given your child’s rate of improvement in today’s snow and weather conditions along with their mood, energy levels, performance arousal/anxiety levels (Stoke level) and learning environment* (if they stay with me). IF all these things remain the same tomorrow (next lesson), then there stands a high probability that they may be ready to move up.’ However, very rarely do all these factors remain exactly the same and they will most likely need more mileage and practice at the level they’re in. Appropriate speed and appropriate terrain can help to enforce positive technical outcomes, as well as being more enjoyable for everyone. It also depends on the group and if they are ready to go to the terrain of the next level, too. In each level there is a spectrum of ability, ‘entry level’ can be quite different to ‘strong’. For example, if a student is a strong 3B then their skis are mostly parallel on green and easy blue terrain. However, if they are entry level 3B, then there would still be a wedge at the start of the turn on the same terrain. So, on the face of it, it may look like some of the kids in the same group are of different levels, some may have just come in to the class, while some are on the cusp of graduating. As you can see there are a multitude of reasons your child may be moved up and down between levels. While we do everything we can to prevent it from happening, conservative and accurate determination of level at the start, get good rest, keep energy levels up and consistent effort from your child will help to ensure once they have moved up, they will stay up. Ski lessons can be many things to many people, but a prime motivator for kids, or anyone for that matter, to do anything is that it is ‘Fun’. ‘Fun’ is defined in the Merriam-Webster dictionary as ‘what provides amusement or enjoyment; specifically: playful often boisterous action or speech.’ However, ‘fun’ is subjective and there are many definitions of what ‘fun’ is or what may constitute ‘fun’. In the outdoors adventure world a ‘Fun Scale’ has emerged, the lines between the types of fun may be a little fuzzy, here I’ll try to explain. Type I: This type of fun could be considered your standard, typical fun. Going to the movies or having a couple of drinks with friends, for example. The effort and commitment requirements are low, it is easy to maintain and you wish it would continue. Whilst there are fond memories of having fun, there is no emotional journey and as result, there is little sense of achievement. Participants either don’t need a specific skill set for immediate success or they already have the skills required, though, someones Type 1 might be some else’s Type 2. We like to try to keep the first time skiing experience as Type I fun as possible. The more positive this experience, the more our guests will come back to invest more effort and become more emotionally involved. This sets them up for Type 2. Skiing with friends on familiar terrain fits Type I fun. As an experienced skier Powder days are definitely Type I fun! Type II: This type of fun takes more effort and commitment than type I fun. Often, there is a certain mental fortitude required to complete the task at hand and won’t seem like fun at the time.Type II fun is about pushing boundaries, growth and development. There is fun recognised after the fact in the journey, or pursuit, of self-fulfillment. But the journey is worth it as there is a considerable sense of achievement. In the context of a lesson, doing new things out of their comfort zone. A child after a lesson a few years ago said to his dad, ‘He made me do things I didn’t want to do and it was really fun!’ (And yes, I did quietly question the wording of his exclamation.) We skied over a little drop where he was scared, at first I had to convince him that he had the ability to do it. Quite a lot of kids were scared at first, but once they’d done it they don’t want to do anything else. Exploring new terrain can be quite challenging in itself at times and once there is some familiarity, confidence can be developed. Another example of Type II fun is when the weather is less than favourable and precipitation is more wet than light, dry and fluffy. The type of weather that mum and dad put the kids into lessons, then proceed to the cafe to stay dry. A specific goal of mine is to bring the kids back at the end of the lesson super keen to have one last run with mum and/or dad, when they’re both dry. Type III fun is similar to Type II fun. But it takes a lot longer to realise that it was fun, if it was fun at all. Some extreme descriptions I’ve read mention Earnest Shackleton or books by Jon Krakauer as Type III fun. Type III fun could end up in the Patrol Hut, Medical Centre or Hospital, quite possibly on the first day of the season or holidays. The type of ‘fun’ to be avoided. “Fun.” Merriam-Webster.com. Merriam-Webster, n.d. Viewed on 25/08/17.